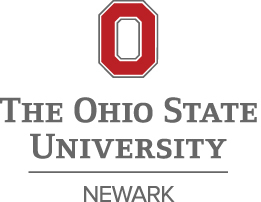 This application is for students who wish to be a part of the Education Teaching and Learning Community at The Ohio State University at Newark. This learning community is for pre Early Childhood and pre Middle Childhood Education freshmen. Please answer the questions below. These are not essays, but we would like at least one well written paragraph for each. We will begin reviewing applications immediately. We will start a wait list once those spots are filled. *A note to parents and guardians–it is very important to have the student fill out the application. The application allows us to learn more about your student & it will help them to clarify their goals for college. If your student is reluctant to complete the application, that is ok! If this is the case it is a great time to talk to them about what they want out of college. We have found that the Education Teaching and Learning Community students whose parents filled out the application, or “made” them do it, did not take advantage of the help. Encourage them to fill out the application, but don’t force them or do it for them. They need to find their own path. We look forward to reading your responses!! Transitioning from high school to college can be challenging. What do you think your personal challenges will be and how can the Teaching and Learning community help you? Tell us about a time that you faced an obstacle in your life, how you overcame it, and what you learned from it. College is a time to make a fresh start. Tell us about something you hope to change when you come to college. In college you become your own "task master." Tell us about how you plan to manage your time once you arrive. What is your best academic habit? Why does it work for you? Choose something from your experience as a student that you believe will help you be a good teacher - and explain how that experience will help you. Why do you want to be a teacher and how will your involvement in the Education Teaching and Learning Community help you reach that goal? Have you been accepted to the OSU Newark campus? *This question is required. Have you paid your acceptance fee for the OSU Newark campus? *This question is required. Are you a first time freshman? You are new to college, not a transfer student. High school college credit is fine. *This question is required. Neither of your parents graduated from college. *This question is required.